ABC analysis is a quick way of analyzing your list of SKU (stock keeping unit) for fast moving items versus slow moving ones. According to Pareto Law (80/20), 20% of the entire list of your SKU will account for 80% of all the pickings in the warehouse. Class A SKU should find their way in the top 20% of the list. Class A items are inventory that has a quick turnaround time within the warehouse. They are picked at a high rate almost on a daily basis. Class C items are inventory that do not move that frequently. They might be stored in the storage medium for a period of time before a picker receives the instruction to pick them. Imagine fast moving items are all over the entire warehouse. As a picker, to fulfil the order pick list, you have to travel to different locations to complete the picking. The time and distance travelled are just a waste. If these popular SKU are placed closer to the packing or outbound area, the distance travelled will conversely be shorter. Time spent on moving will be shorter. Class A items should also be stored in more accessible area, which allow pickers to perform picking more conveniently. Also, Class C items or even non-moving goods should be stored in less accessible area, such as the top of the racking or back of the warehouses. Typically, when you do a google search on heat map, you might see heat map in the context of the world map or webpage. They show areas where most of the activities are gravitated. In the warehousing context, heat map works in a similar manner. In excel, we first mark out each location bin within the warehouse. 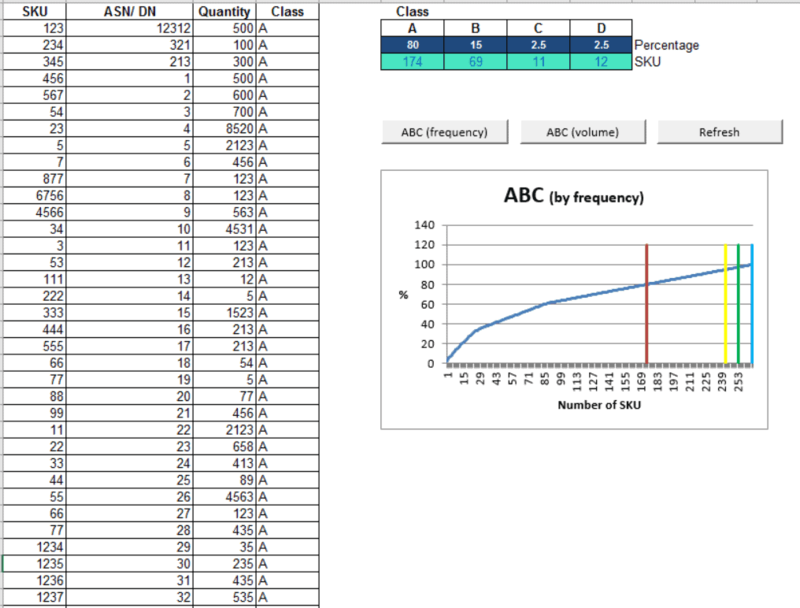 The next step is to determine the ABC classification from the ABC Analysis. Then you should generate a relationship between the SKU stored in the exact location. 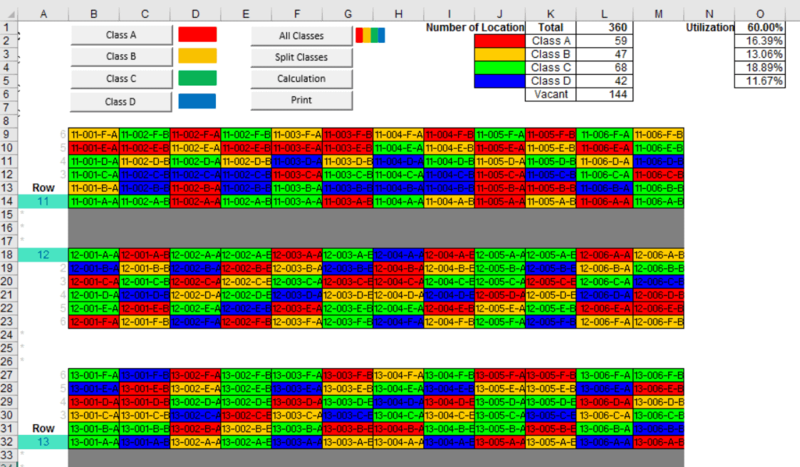 With the classification now assigned to each location, color code the entire warehouse mapping. This will provide you a visual of how you are currently storing the inventory. Are you storing your fast moving items on the ground level or high up in the racking? Are these items near to the dock or far away inside the warehouse? For the 2D warehouse heatmap, you can get it from here. We are developing the 3D warehouse heatmap powered by SketchUp. Please see here for a demonstration. If you are interested in the 3D warehouse heatmap, please sign up to our newsletter. We will update you once this extension has been completed.